Finding repeating patterns in mirrors is always fun for photographers, and thankfully, some Los Angeles parties provide great opportunities to create stunning pattern images. 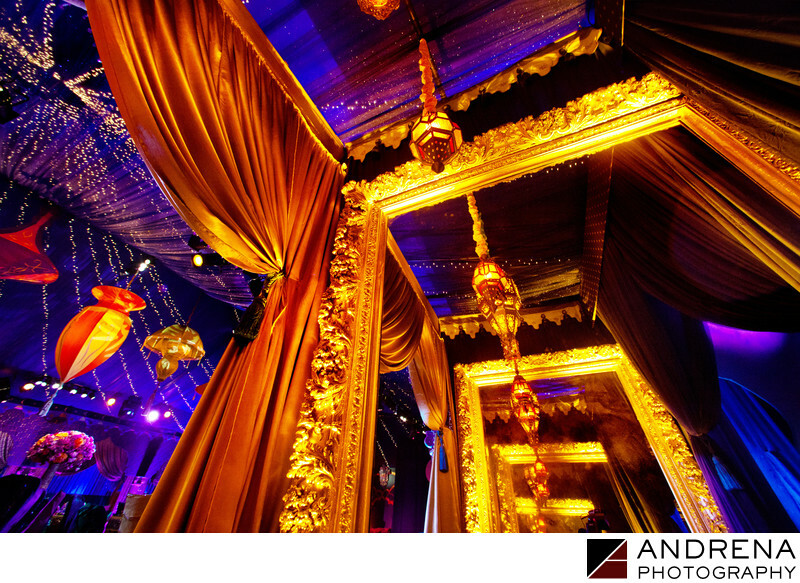 This particular image involved two massive gold framed mirrors that were facing each other in the entrance hallway to a party tent. The gold against the indigo blue created a lovely color palette for this repeating mirror pattern. I shot this image lying flat on my back, while the guests were outside watching a performance. Coordinated by Sonia Sharma Events, with decor by Revelry Event Designers.